Do - It - Yourself Kit to discover how to place magnets so they either attract or repel one another and then use that information to levitate a magnet. Features : Kids have fun to learn a magic trick through this projects. Have you ever seen a magician float an object in the air? 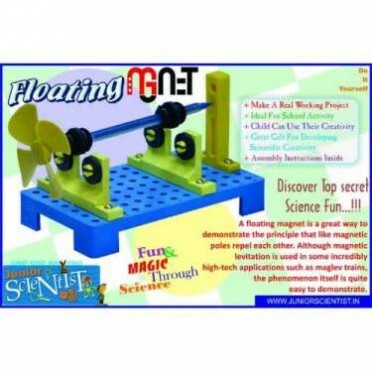 If so, you might think that levitation (making things float) is just a magic trick, but the truth is you can use an invisible physical force to levitate a magnet! Try this science project to find out how. It can be useful to charge two AA size Nickel Cadmium batteries.Charging time : 7 - 8 hours in sunl..
A SOLAR OPERATED BOAT. 1.5V SOLAR CELL INCLUDED. 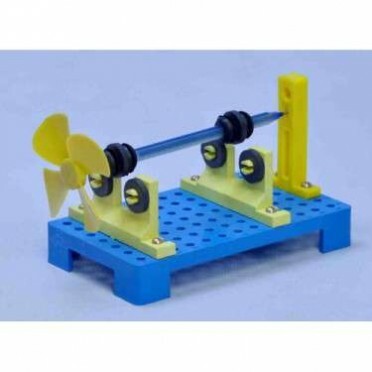 SIZE APPROX H: 4" - L: 10" - W: 6" (AGE GROUP 10 ..
A simple working model of a hydraulic brake system. 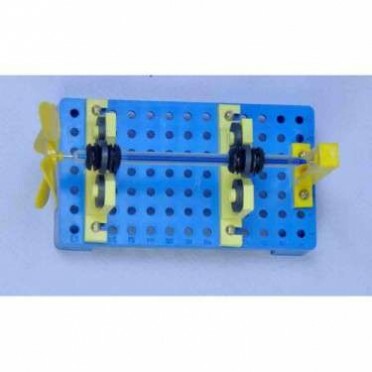 The hydraulic brake is an arrangement of braki..